Thought I’ve traveled extensively, I hadn’t seen or heard of this until your posting. So poignant. Thanks for opening our eyes to this most personal remembrance. Thanks for that comment, Janet. I have traveled extensively in Europe also, and I had never seen or heard of them until this summer. I was waiting to meet up with a walking tour and thought I’d found it so joined in. Turned out it wasn’t mine, it was a group from a river cruise. But at l east I heard the guide point out these stones before I slipped away again! Now, of course, I will be looking for them. I read that there are many in Berlin. What an eye opening post . . . I did not know this. It’s such a touching memorial to those who were victims of this senseless tragedy. Thank you for sharing. Thank you, Maribeth. I didn’t know about it either until this summer, even though I have been in many cities where there are now stones. No I will know to look for them. I don’t recall seeing these in the European countries we’ve visited. 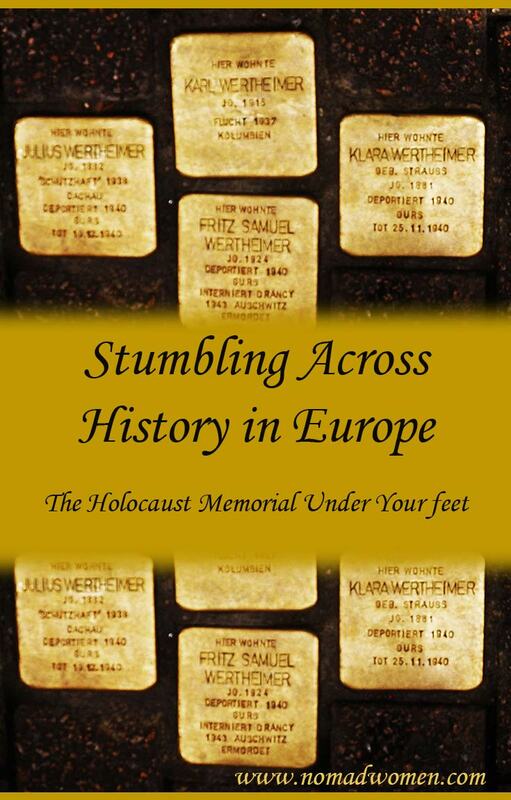 It is so hard to comprehend the enormity of the Holocaust. These tiny monuments bring it home–literally. That is precisely correct, Suzanne, and a major point of the project. to bring the enormity home, by bringing the people “home” in this way. Back to the place where they were actually home. I had never seen or heard of them either before this trip, but now I will know to look for them. I know they are in several towns in the Netherlands. Thanks for shining a light on these tiny memorials Donna. What beautiful and thoughtful and powerful memorials to the lives that were cut short. I agree they are that, Barbara. And that memorial is growing by about 5-6000 more stones each year. I will now know to look for them wherever I go in Europe. Thanks for your comment. I follow on Instagram but just got a chance to come over here and dig into the blog. This is so moving and I had no idea of this aspect of art, memorial, and marker. “Stumbling Stones” is such an apt name in so many ways. I’m so glad you shared this! Thanks, Maria. I’m so glad you made your way over from IG and found me here. I so agree about the name of the Stumbling Stones. I did literally just stumble across them. Great post, Donna. 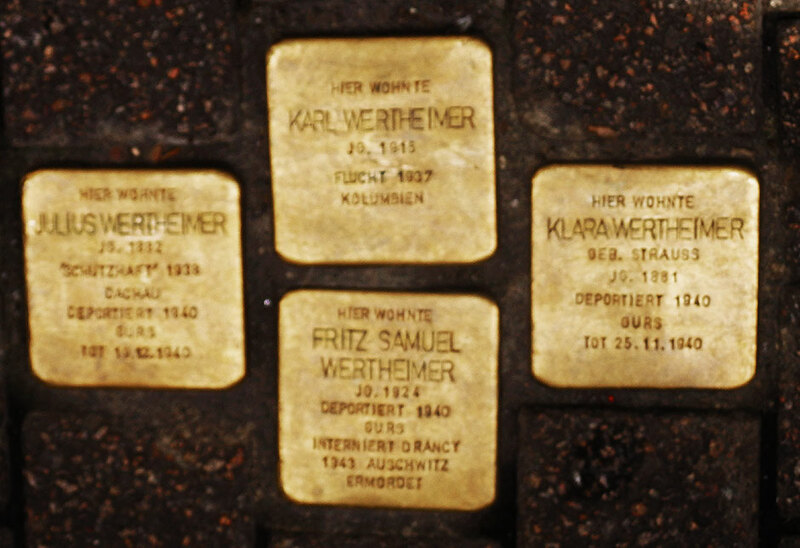 I’ve encountered Stolpersteine outside rental apartments in Rome and Berlin, and along streets in several other cities as well. A beautiful idea, haunting in its simplicity. Thanks, Anita. I have only ever seen them in Heidelberg so far, Anita. Actually, I may have “seen” them and even walked over them in other places but not really noticed because I didn’t know what they were. Now that I do know, I wll pay more attention and look for them in my travels around Europe.